It has not been a good season for Aston Villa and the squad needs a great deal of work in the summer. Were I to be the manager rather than Alex McLeish, here is my analysis of the squad and the moves that could led to improvement next year. Shay Given has had a solid season as Villa’s first choice keeper. He missed seven games through injury earlier in the season, but other than that, has been pretty reliable. While he may not be the most commanding of keepers, it is not a position that requires urgent attention in the summer. Brad Guzan has been at the club for almost four years now, but it looks unlikely that he will remain at Villa Park beyond the summer. He is reportedly asking for around £25k per week to sign a new contract, which for a backup keeper is an unnecessarily high amount. It sounds as though the likely replacement as the number two choice keeper is set to be Marian Kello. Formerly the first choice keeper at Hearts, he fell out with the hierarchy at the Scottish club and is available on a free transfer, probably on wages of around £10k per week, equalling a small decrease in the wage bill compared to the current level, and significantly cheaper than renewing the Guzan deal. As the third choice keeper, there is the young Swiss keeper, Benjamin Siegrist. A promising young talent, he was named the best keeper at the 2009 U17 World Cup, and has been solid in the title-winning reserve side. I would be looking to let him go out on loan to get regular first team football, but with a clause to allow Villa to recall him if there is a crisis in that position. The defence could do with some work over the summer. Carlos Cuellar is out of contract, and it remains to be seen whether the club will renew his contract. There are also several other players who could find their positions under threat. I would be looking at offloading Stephen Warnock and James Collins from the defence. Warnock has been a shadow of the player that he was in his first six months at the club, and was even dropped earlier in the year. Given he is earning around £40k per week, the money could probably be better used, and a transfer fee of around £4m would not be overly unrealistic for the former England international. James Collins has had some excellent matches in his Villa career, but can also be a bit of a liability at times. I think one of Collins or Dunne has to go, and it is the big Irishman that I think would be a better option to keep at Villa Park. Similarly to Warnock, Collins is believed to be on around £40k per week, and reported transfer fees in the papers in January were suggesting around £5m. Around £4.5m could be a more realistic fee though, and Martin O’Neill is believed to be interested in bringing him to the Stadium of Light. By moving those two on, it would free up around £80k on the wage bill, as well as around £8.5m in transfer fees. It would leave Richard Dunne and Ciaran Clark as the two remaining senior central defenders, with Nathan Baker as backup, plus Eric Lichaj and Alan Hutton at fullbacks. Clearly some reinforcements are required. 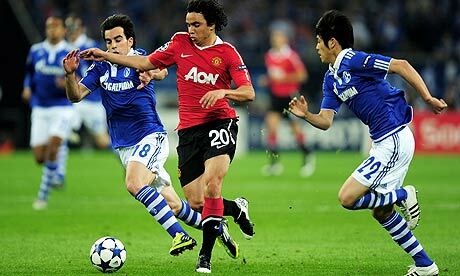 The first player I would be looking at is Manchester United’s young Brazilian fullback, Fabio. Sir Alex Ferguson has already revealed that he is looking to let him go out on loan to a Premiership club next season, and I think Villa could do much worse. He has plenty of energy, provides an option going forward, and he would not cost the club much in wages or a loan fee. I would also be looking at bringing in Nathaniel Clyne from Crystal Palace. He is another young fullback with a promising future, and given his contract is expiring in the summer, he would be available for a nominal fee. The question is how he will cope with the step-up to the Premiership, but the presence of Fabio will allow him to be eased in, ready to become the first choice at the beginning of the following season. That would mean Alan Hutton, Eric Lichaj, Nathaniel Clyne and Fabio all battling for the two fullback slots, which gives plenty of quality and cover. The first central defender I would be looking at would be the Dutch Brazilian, Douglas. He is available on a free transfer from Steve McClaren’s Twente, and is one of the best defenders in the Dutch league. However, there are a number of other clubs that would undoubtedly be interested and Villa would have to move quickly. The second player would be Brighton’s Lewis Dunk. The young central defender has been excellent this year. He appears to be very comfortable on the ball, while he is excellent in the air and should bulk up as he gets older. He was linked with Liverpool in the winter, but I suspect he would be available for around £3m in the summer, which would certainly be a risk worth taking. This would leave Richard Dunne, Ciaran Clark, Douglas and Lewis Dunk fighting for the central defensive slots, with Nathan Baker as a more than capable back-up. It might even be worth allowing him to go out on loan to a Championship side to gain more experience at first-team level. With the loan of Fabio and the Bosman signings, the total expenditure on transfer fees would be around £3.5-4m, leaving money left over after sorting the defence. The wages saved from offloading Warnock and Collins should pretty much cover these new signings as well, giving a stronger and deeper squad for the same cost. The midfield also needs extensive work. Having lost Gareth Barry, James Milner, Ashley Young and Stewart Downing in recent seasons, as well as the health problems for Stiliyan Petrov, this area is both light on numbers and quality. Jermaine Jenas will be returning to Tottenham after his ill-fated loan spell at Villa Park, which will obviously not bring in any transfer fees, but will free up £40k per week on the loan budget. Coming back to Villa will be Jean Makoun, after his season at Olympiakos. He has missed a chunk of the season there due to injury, but reports have suggested that the Greek club might be willing to make the move permanent. Given that he is earning around £50k per week, if Olympiakos could be persuaded to pay around £4m for him, I would be tempted to cash in on him, predominantly to free the money for wages. Fabian Delph has also returned from Leeds due to an injury. Although he has shown brief flashes of his talent, I remain sceptical that he can do it at the top level. I think that if an offer of £2m were received, either from another low-level Premiership side or a Championship team, it would be worth accepting it, thus reducing the wage bill by another £20k. Despite his improvement this season, I would also be looking at moving Stephen Ireland out. While he has been much better this year, for £80k per week, he should be producing far more. I think were Villa able to get an offer in the region of £4.5m for him, it would certainly be worth cashing in on him. So, in moving those three out, it would free up £190k per week on wages, as well as around £10.5m to use on transfer fees. However, it would not really weaken the existing midfield, given Jenas and Delph have barely featured recently and Makoun has been out on loan the whole season. The only loss would be Ireland, although his form has been slightly sporadic at times. This would leave Chris Herd, Barry Bannan, Marc Albrighton, Charles N’Zogbia and Gary Gardner as the only remaining midfielders in the squad. Personally, I would be looking at letting Gary Gardner go out on loan to the Championship for the season to gain more first team experience before throwing him into the Premiership as a regular, leaving just the four midfielders. Clearly plenty of reinforcements are needed here. The signing of Brett Holman, the Australian winger, from AZ has already been announced, and he should provide added quality and competition on the wing for N’Zogbia and Albrighton. However, I would also be looking at bringing in an extra winger to add further competition, particularly as Albrighton is yet to really push on after a good first season last year. My suggestion would be Heerenveen’s Dutch winger, Luciano Narsingh. The winger is only 21, but was joint-top of the assist charts with Christian Eriksen with 16, and tops the charts again this season with 20 assists in 30 matches. He is very quick and good at running with the ball, whilst clearly having a good final ball. Heerenveen have already indicated that Narsingh is likely to leave in the summer, and a fee of around £4.5m should be enough to tempt him over to Villa Park. That would give four good players battling for the two spots on the wing. Moving onto the centre, we currently only have Chris Herd and Barry Bannan. The first signing has been much mentioned by fans – that of Mohamed Diamé from Wigan. Available on a free transfer, he is a solid holding midfielder, strong in the tackle and is comfortable on the ball, as one would expect from a player who has spent three years working with Roberto Martinez. He would also provide a physical presence to what is currently a pretty lightweight midfield. The next signing would be Beñat Etxebarria from Real Betis. A second holding midfielder, he came through the youth ranks at Bilbao, before making his name at Betis. He was a key part of Betis’ promotion campaign last year, and has been one of their better performers in La Liga this season as well. He has chipped in with four goals and four assists in addition to his harrying presence in the centre of the park. He would likely be available for around £4m. Herd, Diamé and Beñat should provide a solid core to the midfield allowing a slightly more creative player to float. Barry Bannan would be the closest that currently exists in the squad, but I would suggest taking a risk in this position. This risk would be Holman’s current AZ teammate, Adam Maher. Maher is only 18-years old, but has really sparkled this season, with eight goals and six assists in his breakthrough season. His game is centred around passing and movement – he has excellent vision and has the technique to execute the passes – while he has excellent dribbling abilities with both feet. While he is still young and a little lightweight, this could be worked on as he gets older, and he looks a real prospect. While he would undoubtedly be a risk, it could be one that pays off. A fee of £6m may seem a lot for an 18-year old, but his wages would not be astronomical, and if it failed to pay off, he would certainly have some resale value. Were it to pay off, he could be an excellent player for years to come. These three signings would cost around £14.5m, but the wage bill would still be reduced significantly, while the squad would certainly be no weaker, and potentially much strengthened. There is not a huge amount of work that needs to be done in the striking department. Emile Heskey will almost certainly leave in the summer, freeing up £40k per week in wages. Similarly, I would be looking to try and move Nathan Delfouneso on, given he has not really progressed as hoped for. If a fee of around £1.5m was possible, I would certainly take that. 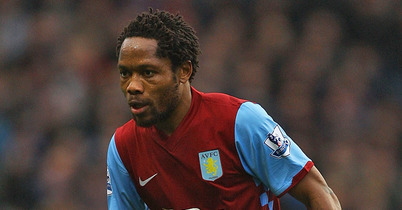 That would leave Darren Bent, Gabriel Agbonlahor and Andreas Weimann as the three remaining strikers at the club. There is plenty of ability and potential there, but I think one additional striker as a different option would be ideal. Bent has the finishing ability, Agbonlahor has the pace, Weimann has the work-rate, but there is not a real physical presence amongst them. 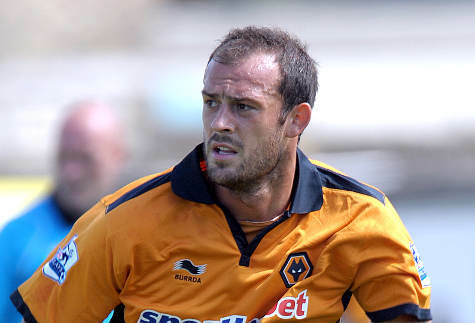 I would be tempted to look at Steven Fletcher from Wolves. Even in a struggling Wolves side, he has reached double figures for each of the last two seasons, and he features pretty highly in terms of aerial performance amongst strikers this season. Wolves would be looking to recoup much of what they paid for him, so an offer of around £6m should hopefully be enough to clinch his signature. These moves would hopefully strengthen the squad, as well as laying a base for future development with plenty of younger players getting an opportunity. In terms of expenditure, we would be looking at recouping £21m and spending £23.5m, giving an overall net spent of just £2.5m. Clearly, were there to be additional funds to spent, slightly higher profile targets could be drawn up. In terms of wages, we would be looking at cuts of around £350k per week, while I imagine the new signings would probably be looking at around £270k per week, giving an overall reduction in the wage bill as well. Shay Given would be the obvious option in goal, while he would two of Douglas, Clark, Dunne and Dunk in front of him, with two of Hutton, Clyne, Fabio and Lichaj on the flanks. Plenty of solid options and depth there. N’Zogbia and Narsingh on the wings, backed up by Albrighton and Holman gives good attacking options, while Herd, Beñat and Diamé provide the holding option in midfield, with Maher or Bannan creating the chances ahead of them. Finally, any combination of Bent, Agbonlahor, Fletcher and Weimann up front gives various options and goals.